There weren't enough volunteers to run this year's Top of the World Loppet in Inuvik, only one year after the iconic cross-country ski race celebrated its 50th edition. This year's Top of the World Loppet in Inuvik was cancelled because there weren't enough volunteers, only one year after the iconic cross-country ski race celebrated its 50th edition. The cross-country ski race used to attract athletes from around the world. The Inuvik Ski Club is well-known for starting the formative Territorial Experimental Ski Training (TEST) program in Inuvik in the late 1960s and developing Olympians Shirley and Sharon Firth. Holly Jones, a volunteer and board member with the Inuvik Ski Club, said she saw it coming. "It seemed like less and less of a possibility that we would be able to pull it off, unfortunately, just given the really low volunteer capacity that we're experiencing," she said. Jones is one of only three people remaining on the board; there is a requirement for six board members in order for the club to operate. Late last year, the Inuvik Ski Club shut down because of a lack of volunteers, vandalism, theft, and financial problems. The goal was to reopen in January after the club sent out a survey to gauge what changes people wanted to see. They got helpful feedback, but needed more than that. "We didn't see a lot of people coming out of the woodwork and entering leadership positions, which is what we need to implement those ideas," said Jones. "To see that the resources or the capacity isn't quite there to support the people who do want to ski makes me frustrated and sad." Kevin Smith, the president of Cross Country N.W.T., said in an email that "what's happened in Inuvik this year for the ski club is unusual [however] volunteer burnout is a very real thing across the N.W.T." "It takes a lot of work and volunteers to run a ski club as the volunteers have to maintain the facilities and trails as well as run programs," Smith said. 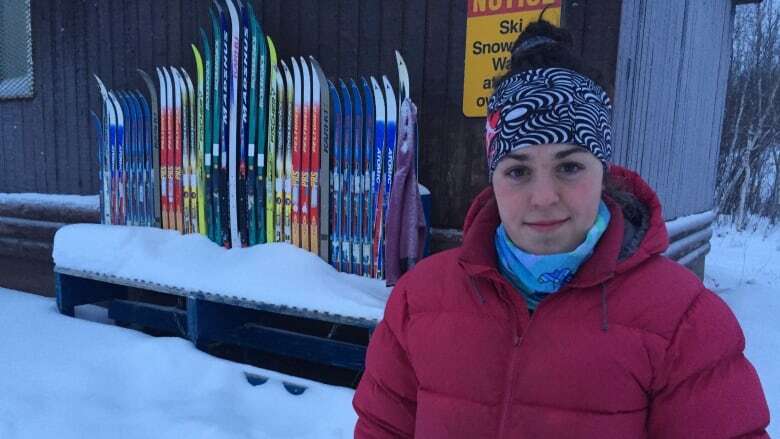 A goal for Jones is to get the Jackrabbits youth ski club up and running again, which has been difficult after Nordiq Canada, formerly Cross Country Canada, changed its rules. Now, all coaches need to be licensed. Jones said those coaches need to get their own licences every year "which is a big hold-up." She's currently the only licensed coach in town. Jones said this past winter she's been trying to get grants for the club, such as one for a women's program for the spring or summer. She's hopeful that they will get back on track. The club remains closed, but the goal is to hold the loppet next year. In the meantime, Sharon Firth has been touring the Beaufort Delta region with her former coach Anders Lenes, to get kids out skiing. Inuvik's East Three school has also been using the club's equipment for their physical education class.